Mesut Ozil has demanded that Barcelona milk their cash cow if they want to sign him, according to reports. The German looks set to leave Arsenal in the upcoming windows, with talks over a new contract stalling and failing to reach any sort of conclusion. With his current deal at the Emirates expiring in the summer, the Gunners are keen to sell him in January to avoid losing him for free in June. According to Spanish news outlet AS, Barcelona are monitoring the former Real Madrid star’s situation, and are eager to bring him to the Nou Camp. 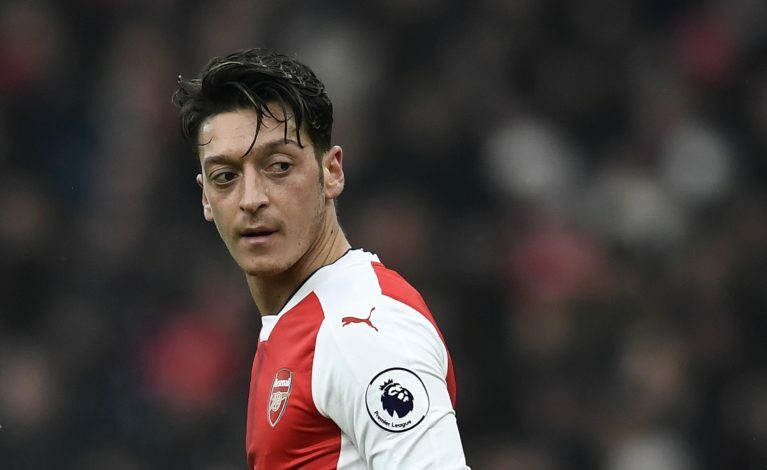 However, they have been taken aback by Ozil demanding he receive a salary of £329,000-a-week if he is to move to the Catalan club. They believe the only way they can match the 29-year-old’s demands is if they let go of Arda Turan first. Turan has been out of favour at Barca, and has not played a single minute this season, with reports recently coming out saying he has requested to leave the club in January. The 30-year-old Turkish international is sixth on the list of highest earners at the club, and his departure would give the Catalans the means necessary to procure Ozil. AS also claimed that Wenger is eager to do business with Barca to avoid his star from joining Manchester United. Jose Mourinho and Ozil share a good relationship, having worked together at Real Madrid, and the latter seems eager to reunite with his former boss. However, Wenger does not want to sell to a rival club, especially United, after the whole van Persie saga four years ago, and is set to let Ozil go to Barcelona in January for around €20 million. The German playmaker has also demanded that Barca provide a sign-on fee, having understood that he will be sold at a rather cheap rate due to the length of his current deal.